August 28, 2003, L. G. Crabo. Schinia walsinghami is a common small (FW length 10 - 13 mm) tan moth with darker orange-brown basal and subterminal areas separated by black and white lines that flies in dry forests and steppe during late summer and fall. The ground color is slightly mottled light tan, similar in median and terminal areas. The wing base medial to the antemedial line and the subterminal area are dark orange-brown to brown, darkest near the median area. The antemedial and postmedial lines are similar, white with ill-defined dark brown or black on the side outside the median area. The antemedian line is smooth and strongly excurved, nearly semicircular, toward the outer margin with apex on the mid-wing. The postmedial line is moderately scalloped, S-shaped with a bluntly excurved segment around the end of the cell and concave toward the base on the posterior half of the wing, meeting the trailing margin perpendicularly. The median line is slightly darker than the adjacent median area, faint and diffuse. The subterminal line is pale yellow-brown, mildly irregular and drawn toward the wing base opposite the cell and near the trailing margin. The terminal line is variable, absent to a series of gray spots. The fringe is pale tan, even to moderately checkered with gray. The reniform spot is variable, absent to as dark as the adjacent subterminal area, an ill-defined smudge with a lighter center. The other spots are absent. The hindwing is pale yellow-tan with light gray-tan discal spot and submarginal band. The hindwing fringe is white with a pale tan base. The head and thorax are even light tan. The male antenna is filiform. 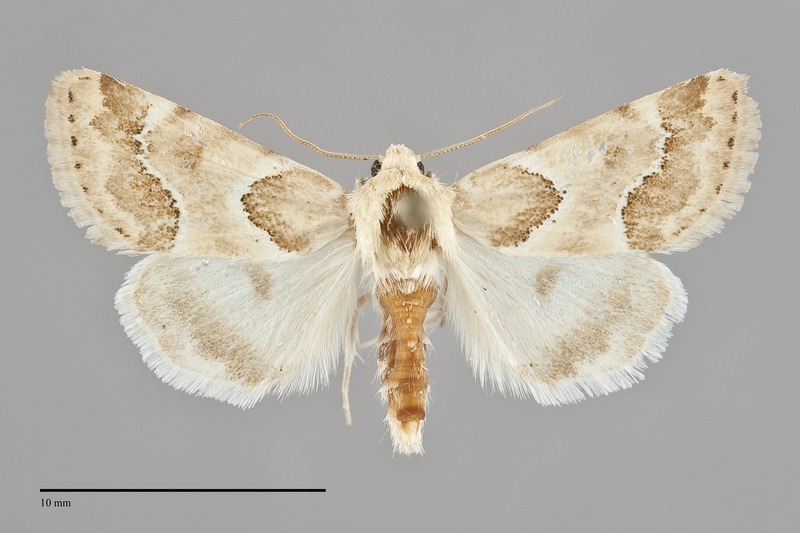 This species can usually be separated from other fall-flying moths in steppe and dry forest environments by its warm orange-brown color separated into dark and light areas by black and white transverse lines. It is most similar to Schinia argentifascia, a species with a limited range in southern Oregon in our area. It has a shiny white band across the median area that is lacking in S. walsinghami. Schinia illustra, a species that has a similar limited range in southern Idaho is similar in size and color to S. walsinghami and appears as an impressionistic version of it. Its forewing pattern is ill-defined with blurred lines and a streaky sunburst pattern of orange-brown to the outer margin, unlike the fairly typical pattern on the distal wing of S. walsinghami. 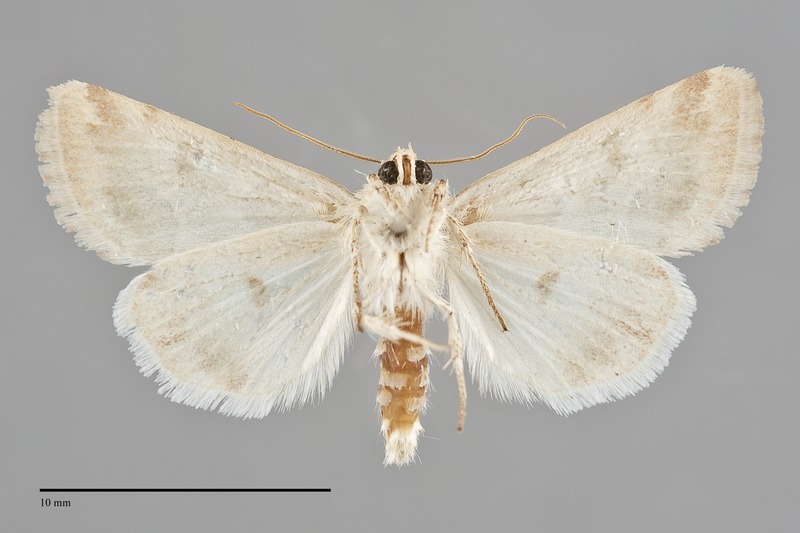 The most similar common species is Schinia acutilinea, but it is a grayer moth with dark gray elements at the base and subterminal area on the forewing and markings on the hindwing that S. walsinghami lacks. The type locality of Lygranthoecia walsinghami H. Edwards is Oregon, Klamath Lake. This species is widely distributed throughout much of western North America in dry rangeland habitats. In the Pacific Northwest, it is common to abundant on dry sagebrush steppe or in juniper and pine woodlands at low to middle elevations east of the Cascades. Schinia walsinghami is broadly distributed in the dry interior of the Northwest as far north as south-central British Columbia. The range of S. walshinghami is predominantly west of the Rocky Mountains in California and the Great Basin region south of the Pacific Northwest. It also occurs in a narrow distribution just to the east of the Rockies from Montana to New Mexico. This species is a foodplant specialist feeding on rabbitbrush (Ericameria spp.) in the Asteraceae. The flight period of this moth is late summer and fall. It has been collected from early August through September in our region. It is nocturnal and comes to lights, although it can often be found visiting flowers of rabbitbrush (Ericameria spp.) in late afternoon and evening.